UPDATE: Johnson signed with the Seahawks on Wednesday, according to NFL Media. The Vikings are still looking for cornerbacks. Former 49ers fourth-round pick Dontae Johnson left the Vikings’ training facility in Eagan after a free-agent visit on Tuesday, the team announced. Johnson, 26, started all last season for San Francisco. 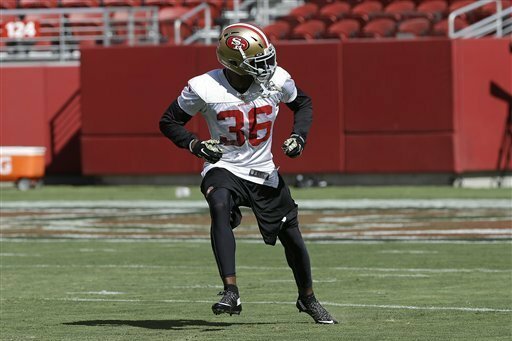 Johnson (6-2, 200 pounds) is still looking for work after suiting up for all but one game for San Francisco since he was drafted in 2014. He’d give the Vikings some depth in a cornerback group that currently has just five members: Xavier Rhodes, Trae Waynes, Mackensie Alexander, Marcus Sherels and Horace Richardson. Johnson has experience defending in the slot, where the Vikings don’t seem settled with the third-year Alexander. However, Johnson played primarily right cornerback, where Rhodes starts for the Vikings, during his run as San Francisco’s starter last year. A North Carolina State product, Johnson had a career-high seven pass deflections and an interception returned for a 50-yard touchdown last season. Johnson had previously visited the Seahawks.